People who have visual impairments run the risk of tripping over dockless scooters when they block city streets. Paschall has ocular albinism, a genetic condition that makes his eyes sensitive to light. He remembers it being a really bright day, so he was wearing sunglasses and squinting. He says he's worried that other people – especially those with visual impairments like him – could trip over a scooter and even fall into traffic because they're blocking the sidewalk. Complaints about dockless scooters and accessibility have grown since the scooters showed up in Austin last year. There are now more than 13,000 of the devices on city streets. Complaints about scooters and accessibility have grown since the devices started showing up in Austin last year. After his near fall, Paschall reached out to Toni Provost and Lisa Calaci, orientation and mobility specialists at the Texas School for the Blind and Visually Impaired. Their job is to teach students how to travel safely – things like how to use a white cane, how to cross streets, and how to use public transportation and rideshare services. Provost and Calaci said they began to notice the scooters blocking sidewalks and ramps early in the semester last year. Calaci said they're a hazard for students who may not be able to detect them with a cane. Students shouldn't have to negotiate around scooters just to try to find a door to a building, she said. The school delivered a petition to the city with about 180 signatures from teachers, students and parents across the state. It asks city officials to address safety problems. Dockless scooters are no longer allowed on campus at the Texas School for the Blind and Visually Impaired. The Texas School for the Blind and Visually Impaired is now working with Austin’s Transportation Department to improve safety enforcement, and the scooters are no longer allowed on campus. Jason JonMichael, an assistant director with the department, said the city can act like a middleman between the scooter companies and the school on these types of issues. “As the permitter, we have a unique way of getting [scooter companies'] attention,” he said. Right now, Austin is conducting the first-in-the-nation dockless mobility safety study with the Centers for Disease Control and Prevention. Findings will be used to update the city’s dockless ordinance, as well as help formulate a safety ordinance. The study will be presented to Austin City Council this spring. 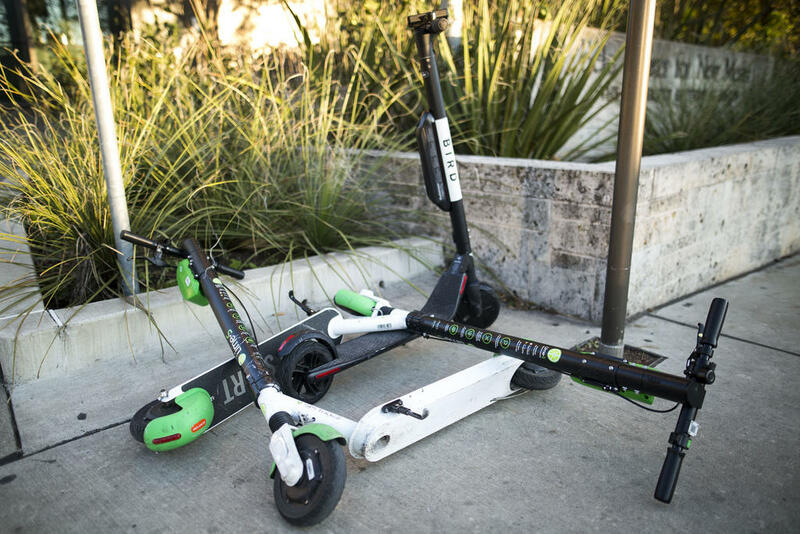 Bird made improvements to its scooters, including a blinking light on the bottom so they can be seen in the dark even when they’re parked. Provost and Calaci said they plan to meet with executives of Lime later this month. Calaci said she hopes to see more rider training and rules enforced around other areas of the city, especially along the Drag on UT campus. Patricia Pound says scooters can distract or startle guide dogs that aren't trained to recognize them. Patricia Pound, an advocate for people with disabilities who fully lost her vision at 14, said riders also need to give pedestrians verbal cues because the small motors can be hard to hear. 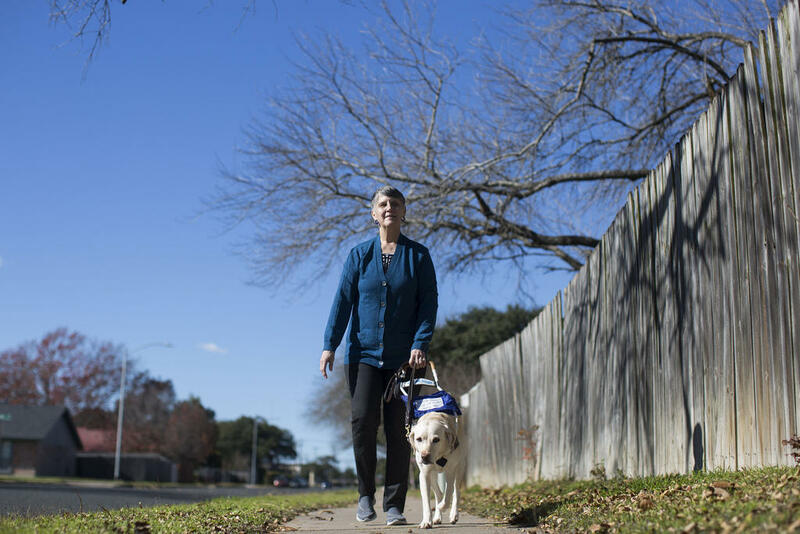 There aren't enough good sidewalks as it is for people who need accessibility, she said, “so, anything that impinges on all those things is an issue.” According to the city, Austin is missing more than 2,500 miles of sidewalk and about 80 percent of sidewalks that do exist are in poor condition. Pound said people who are visually impaired can injure themselves beyond just tripping and falling on scooters – a cane could get caught or a guide dog could get distracted or startled because of a scooter's speed. Pound said luckily her 5-year-old guide dog, Iris, does fairly well. She said hopefully the dockless devices encourage the city to step up improvement of sidewalks and road crossings. 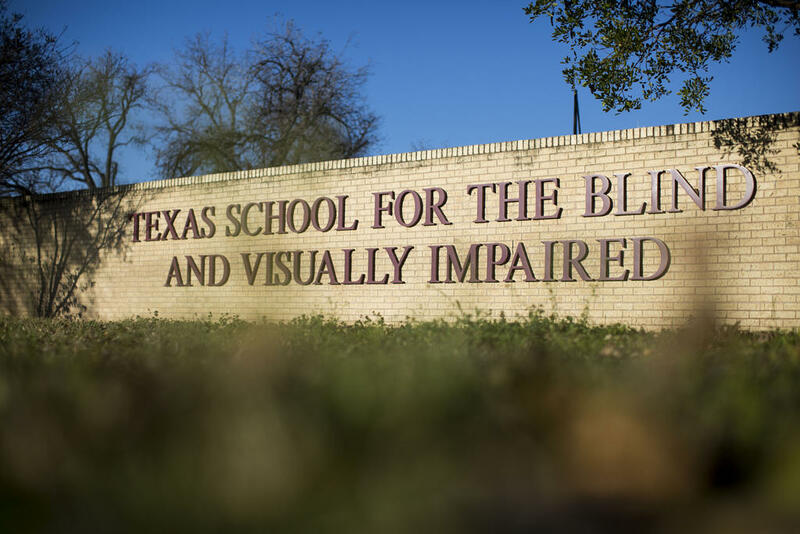 While the Texas School for the Blind and Visually Impaired works with the city to improve regulations, Calaci and Provost said they'll continue to work with their students to advocate for themselves – that includes how to call 311 to make a complaint about the scooters. Provost said they’ll attend more mobility meetings to make sure they have more say in decisions regarding the scooters going forward.